Today we hosted a very exciting webinar discussing best practices for leveraging storytelling to build your employer brand, in partnership with the awesome team at The Muse. Read on for a complete recap and access to the full-length webinar recording.  From our team at Blueboard, a comprehensive guide to how you can leverage recognition programs to craft meaningful and authentic employee stories. Download a copy online here. A new eBook from The Muse, with tips for crafting compelling brand stories to aid your recruiting efforts. Grab your copy here. Why prioritize building your employer brand? Because now, more than ever before, we're in a candidate-driven market. 73% of companies are struggling to find top talent, and according to the latest news from the US Department of Labor, we’re currently facing a labor shortage. 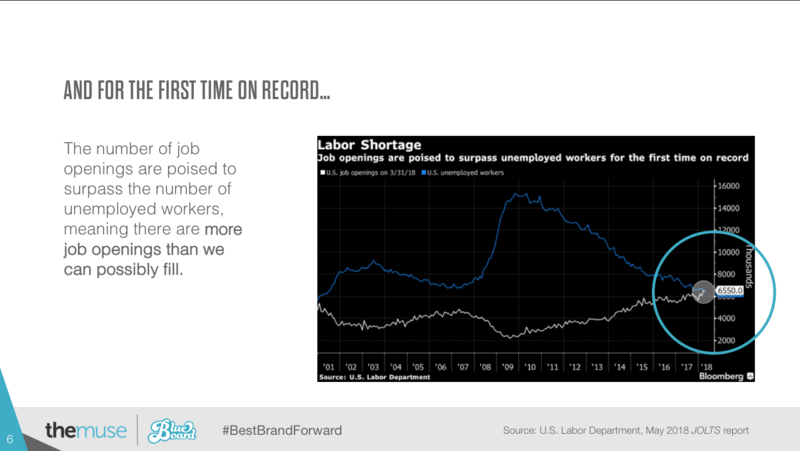 If the trend continues, there will be more job openings than candidates available for hire. The scary part? This all goes down behind your back. These candidates have more tools than ever to form opinions about your company before ever talking to a live recruiter. And your reputation carries a heavy weight in their decision making, 1 in 2 candidates will use review sites like Indeed, Glassdoor, or the Muse to vet your company. If you don’t have at least 3 stars, nearly half of managerial-level candidates, the ones that are more expensive to recruit, have straight-up turned down offers based on reviews alone (and even more when counting millennials, who will make up half of our workforce by 2020). In the same way we as consumers don’t care nearly as much about what a company says about its products and services compared to what customers say (especially when vetting restaurants, hair salons, or even healthcare providers), job seekers will devalue your careers page and job postings when compared to the online voice and reviews from your current and former employees. This means that as an HR leader, and steward for talent acquisition and retention, you need to find a new way to fish. That means getting ahead of the candidate's job search, even tapping into passive candidates who aren’t quite yet looking for new roles, but possess the skills that you’re looking for. It means reaching candidates on the external sites that they use the most. It means encouraging your employees to become strong brand advocates, who really have your back when it comes to championing the value that your company offers to its top employees. And it’s up to you to curate meaningful and authentic stories that truly represent your brand's company culture. To use compelling stories to show that you are a Best Place to Work. 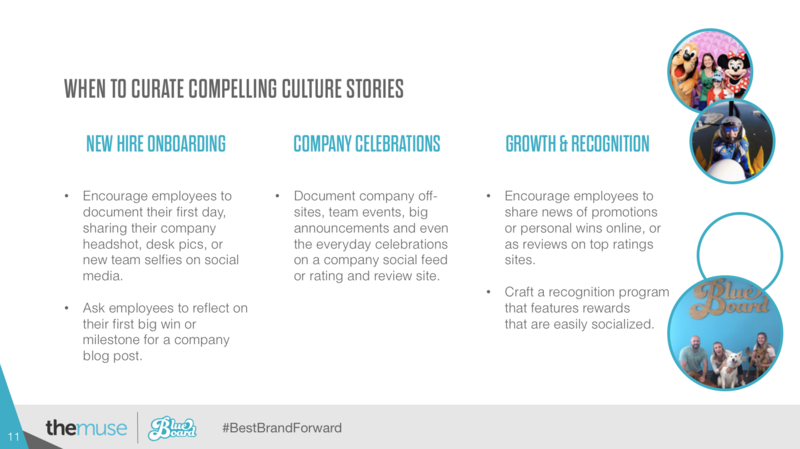 Curating brand stories starts with thinking through your compete employee lifecycle. There are several stages during the employee's tenure with you that are ripe for storytelling. The first is during new hire onboarding. The first few weeks of the employee's time with you are full of peak energy and excitement, as the employee arrives on their first day, organizes their desk, and begins to form relationships with new employees and their teammates. Take advantage of this energy and excitement by encouraging new hires to document their first few weeks on the job with photos or videos that can be shared to social media. Or, create a public Slack channel like #welcomewagon or #newtotheteam to house and celebrate these new hire stories. You can also consider having employees share how it felt to cross off that first big milestone project or reach that first goal in their new role, written up as a short paragraph that you could consolidate with other stories into an exciting company blog post highlighting the big wins across the latest new hire cohort. Research shows that giving new hires a goal to accomplish within their first 30-days is key for driving retention, so what better way to build engagement than to surface and celebrate these wins as a company? Capture content during ongoing team events and celebrations. This could include daily interactions showing employees taking advantage of small team events or perks (like bonding during a local philanthropy event, checking out a speaker at an ERG meet-up, or simply enjoying catered lunch in the company cafe), or larger celebrations like company fundraising, acquisitions, or new office openings. At Blueboard we celebrate small events, for example just a few weeks ago National Bring Your Pet to Work Day (as you’ll see in the photo below), as well as larger celebrations like annual company offsites and birthdays with the continued use of #Blueboarding on Instagram. Using a branded hashtag helps aggregate all of our memories in one place, and allows external candidates to get a better taste of our culture and team dynamics. Broadcasting the fun and camaraderie that your team is having helps job seekers to understand that your company values work-life balance and has an appetite for celebrating all types of achievements, big or small. The third great place for capturing compelling brand stories is linked to individual achievements, via personal career growth and employee recognition. As employees blossom at your company and take on bigger roles and responsibilities, why not encourage them to celebrate their promotions, internal transfers, or global moves to a new office with photos or stories? Stories like these are especially relevant for promotion on social media sites like LinkedIn, where employees are focused on building their own reputation and personal brand. Employee recognition is another important channel for gathering employee stories. After all, employee recognition is typically focused around your top performers, who should be the model citizens that future candidates look to you when understanding what it means to be a contributor at your company. When thinking about employee recognition programs, challenge yourself to make your program one that can be truly shareable. In the webinar we talked about the experiential gifts for employees that we offer at Blueboard. Instead of rewarding top performers with cash or gift cards that are often kept quiet, we empower companies to reward their top employees with their choice of memorable, meaningful, and highly shareable experiences. Of the thousands of employee rewards to choose from in our catalog, employees get to pick from heart-pumping adventures like going skydiving for the first time, or joining a group for a whitewater rafting trip, to indulgent activities like zero-gravity float tanks or 5-star facials, to activities that fuel your creative side, like learning to sing or to throw pottery. Regardless of the employee's unique personality or interests, there’s are rewards for everyone. As employees go out and about on their Blueboard employee rewards, they capture and share employee recognition stories like these below - photos and videos of their adventures linked back to your company. Sharing these stories externally allows you to show that your company truly sees and values the contributions of the team, and is focused on creating a culture of appreciation across the entire organization. Now that you've curated the stories, it's time to broadcast them. Read on for ideas from Heather Freiser at The Muse for promoting stories both internally to build awareness and excitement, and externally to build your employer brand. It all starts with your front door, your company website, where you can host About Us, Careers, or similar pages to introduce candidates to your company culture. Share employee testimonials or interviews around your mission, vision and culture, like those we feature on our own. And consider showcasing photos or videos of a day in the life at your company, to highlight benefits, perks and real team relationships. 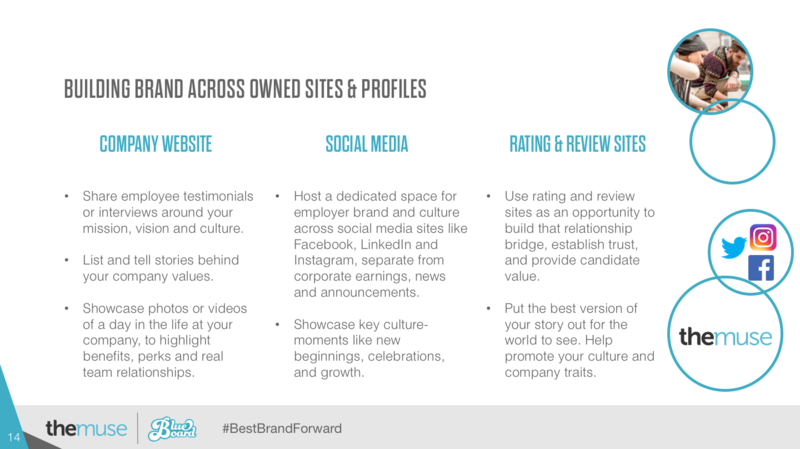 Create a dedicated space for employer brand and culture for the job seeker audience across social media sites like Facebook, LinkedIn and Instagram. This should be separate from corporate earnings, news and announcements content, which paints a different picture (performance and operations), vs. the voice of your people. growth milestones we discussed earlier, using social to surface regular employee-produced content across your company feed. We lastly touched on external rating and review sites, like The Muse, Glassdoor or Indeed. You can use rating and review sites as an opportunity to build that relationship bridge, establish trust, and provide candidates value. Put the best version of your story out for the world to see on these sites that candidates are already visiting regularly (the 92%). Help promote your culture and company traits with the tools readily made available on these sites, most of which are free to use. Beyond internal promotion, it’s also important to plan for external promotion and development of your employer brand – that’s where employee advocacy comes in, helping and motivating your employees to become strong champions of your culture. This goes without saying, but make sure your employees are following your company on social media. Encourage employees to brag about company culture; this can be done easily by posting a photo at a company retreat, or even a cute selfie of the office at lunch. Tag employees on company posts to encourage share-along, when they get notified that you've posted about them, it makes it that much easier for them to click the share button, increasing your brand reach. And don't forget to make it easy for people to share. Post suggested links and social post copy for important news or stories that you want employees to advocate, so the job is done for them. They can simply lift your copy and post it across their network of choice, with just a few seconds of their time. Incentives are a great way to boost awareness around content goals, as well as an extrinsic motivator for driving action. Do you remember the story of Flat Stanley? The paper cutout who became viral in the 90s, where people snapped photos with him on their travels, building a global movement? As a way to unite employees and encourage healthy work-life balance (and to live a fun, adventurous life outside of work), Glaukos created their own version dubbed Flat Tom, modeled after their loved CEO Tom Burns. Employees are encouraged to take photos with Flat Tom as they go on their own life adventures, or celebrate special moments, which are then featured on the company’s dedicated Instagram. Each year the best photo wins a Blueboard Ruby reward (the same employee reward given to employees on their 10-year anniversary, a pretty big deal) as motivation for participating in the program and sharing their stories with Flat Tom. Learn more about how Glaukos is creating a culture of employee recognition in this Partner Success Story. You can also see Flat Tom stories come to life on their Muse profile page. Your senior leadership team's support will be critical for driving employee engagement around storytelling and advocacy, and will help keep advocacy top-of-mind at company-wide events. Leadership’s involvement helps advocacy become a priority and more authentically woven into your culture. How to get them involved? Encourage leaders to actively own and manage their own social media profiles, or encourage those who are more tech-savvy to host live takeovers of the company’s profiles, announcing exciting company news or updates in first-person to your followers. This action shows job seekers that leadership is in touch with your community, creating the element of accessibility. Also, assign an Executive Sponsor to support and champion employee advocacy and branding internally. 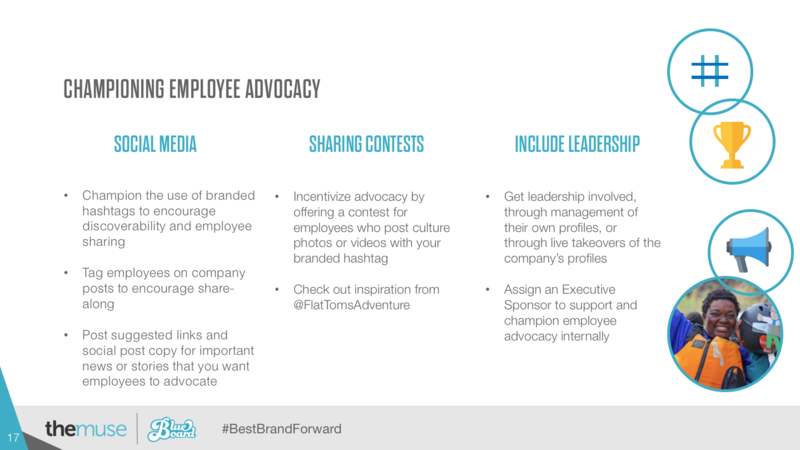 This advocate can continue to surface needs for employee advocacy (like reminders to rate the company on Glassdoor, or to share the hottest open job recs), or promote sharing incentives in public forums like company all-hands meetings. As you need support (like increased resources), the advocate can help surface larger needs to the higher-ups who they meet with regularly, making your job a bit easier. 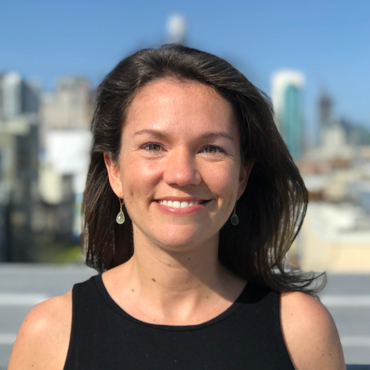 We were so happy to host Molly Trucano, Employee Engagement and Internal Marketing Manager at true[X], who shared her quick tips for building employer brand based on her own efforts and past experience. To monitor the voice and engagement of her team on a regular basis, leveraging segmentation tools to identify where there are gaps in employee advocacy sentiment (analyzing questions like "I'm proud to work at true[X]," or "true[X] really allows us to make a positive difference"). It's an investment, but worth it, as videos speak a thousand words and has the ability to bring your culture to life in amazing ways. Check out Molly's latest video on her Muse page, centered around the launch of the Up/Lift product, a company-wide initiative that is a great example of leadership's commitment to innovation and product excellence. 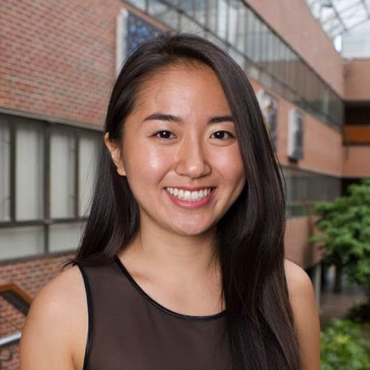 Molly leverages her Muse profile page to show all types of employee stories, and video testimonials to paint a stronger picture of her culture. As a Blueboard customer, Molly is also continuing to champion the employee recognition stories that come from their rewarded employees. 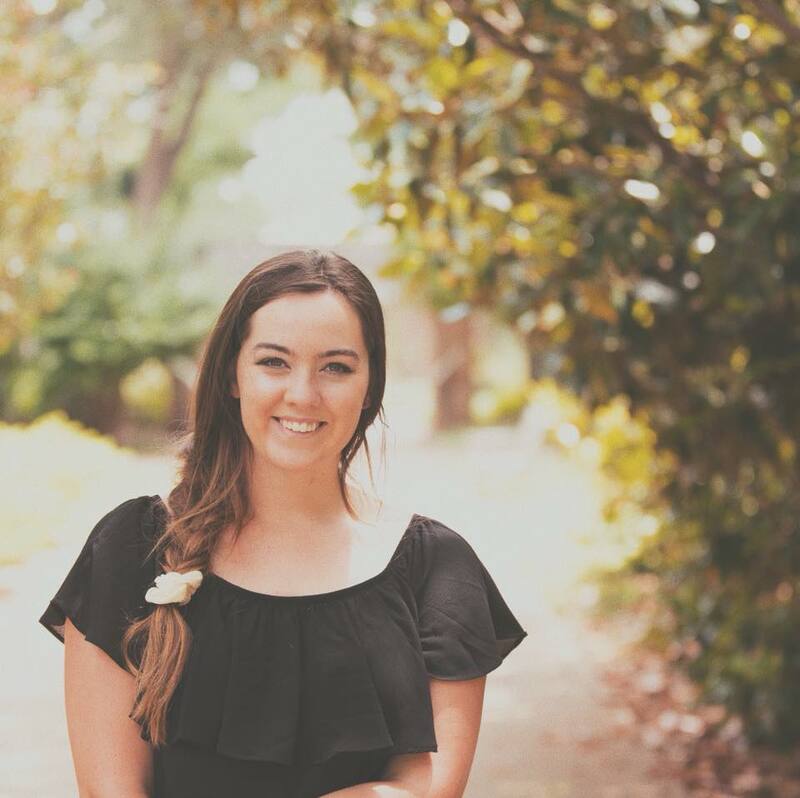 Since partnering with Blueboard two years ago, employees through their Kudos Recognition program have enjoyed spa days, VIP concerts, wine tasting outings, and more, sharing photos that Molly can showcase through internal channels and on the properties open to future job seekers. Employer branding doesn't have to be a crazy investment, Molly has leaned on internal tools like newsletters, Slack channels, social media, and other internal channels to share employee stories to build buzz and energy. Surfacing content on public channels has been especially important since their merger with 21st Century Fox, with offices expanded across the county and more and more employees spread out remotely. Culture stories help employees feel more connected, and inspired to work towards a shared vision and stated company goals. 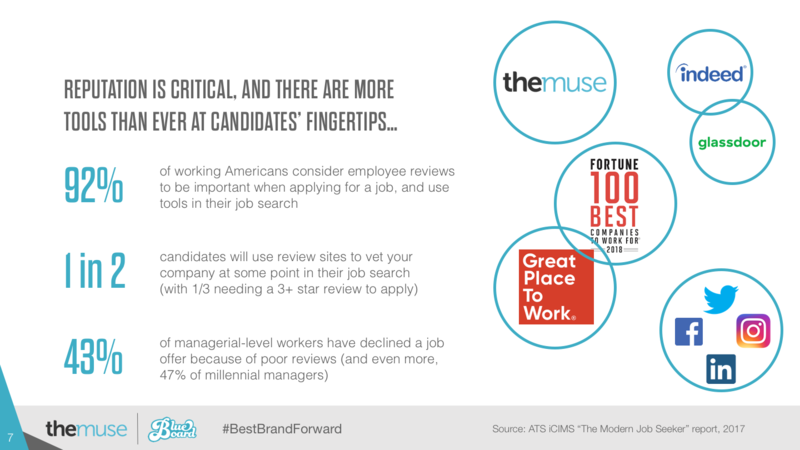 Thanks for tuning into our webinar recap, we're excited to keep the employer branding conversation going. Keep in touch with me at Morgan@blueboard.com, or connect with me on LinkedIn. And if shareable employee recognition moments are on your mind, reach out to our sales team via the Request Demo button on your screen. We'll look forward to hearing from you!